The Galactics arrived with their Battle fleet in 2052. Rather than being exterminated under a barrage of hell-burners, Earth joined a vast Empire that spanned the Milky Way. Our only worthwhile trade goods are our infamous mercenary legions, elite troops we sell to the highest alien bidder. 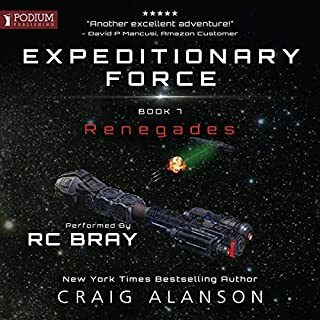 In the third book in the series, James McGill is deployed on another alien world. His third interstellar tour is different in every way. 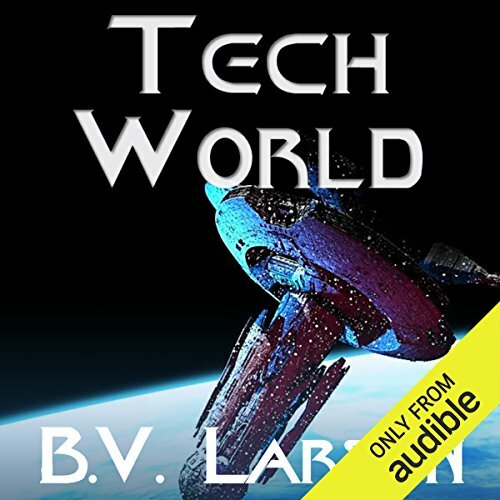 Rather than meeting up with a primitive society, this time he’s headed to an advanced world. Tau Ceti, better known as Tech World, is the central trading capital of Frontier 921. McGill figures he’s lucked out. The assignment looks dull but luxurious. Tau Ceti boasts a planet-wide city with a trillion inhabitants, all of whom are only interested in making a few credits. But all is not well on Tech World. The Empire is crumbling, an invasion is coming, and McGill’s easy ride through life and death has come to an end. 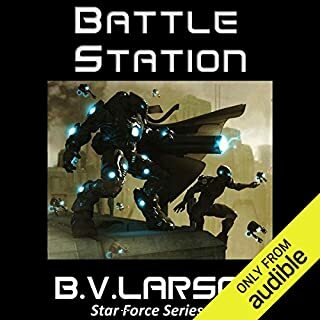 ©2014 B. V. Larson (P)2014 Audible Inc.
l loved it,it had everything l was looking for and can't wait for the next one. Now that earth has become enforcers for the Galactic Empire in this part of the universe Specialist James McGill and Legion Varus have been assigned guard duty on a High Tech Planet called Tau Ceti, better known appropriately as Tech World; but even before they can embark on their mission some political infighting and McGill’s uncontrollable need to express his opinion lands him in trouble again. 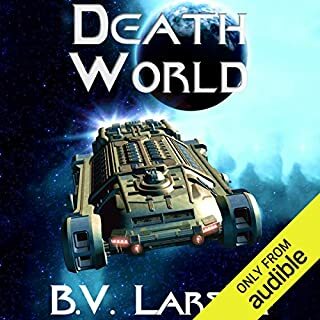 Once matters are somewhat settled McGill and Legion Varus ship out for Tau Ceti where dying isn’t enough this time as the mercenaries must cope with greed and corruption on a planetary scale. 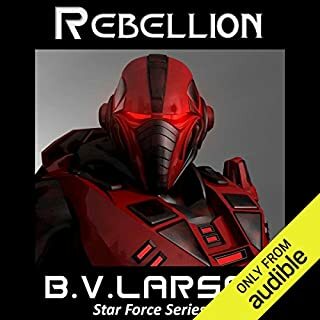 As usual McGill will take it upon himself to make choices and decisions that could affect all of humanity as possible big changes concerning the entire Galactic Empire are coming to light. 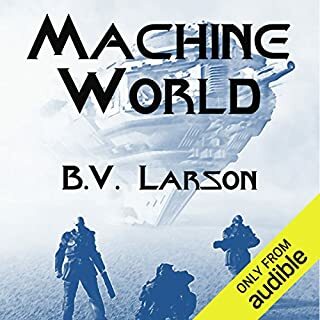 B.V Larson’s main concept of re-growing bodies and retrieving memory leads to some interesting sub-plots in this latest installment in his series. From previous books we have learned that there are rules set in place regarding “Re-growths.” A person must be verified to be deceased before a new grow can occur to prevent multiples of the same person for instance, and if one does not die over the years it is recommended that the data banks be updated so a person doesn’t come back looking ten or fifteen years younger; both of these scenarios are explored in this book. 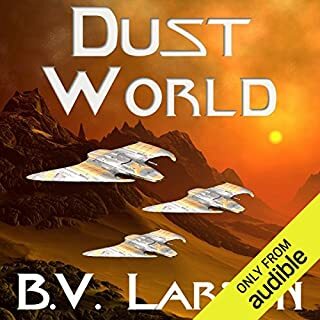 The narrator, Mark Boyett, gives another good performance and I look forward to the next book. Action packed with McGill still causing trouble. Indeed. This was a can't put down epic continuation on this story. The characters are well done. Story outstanding. 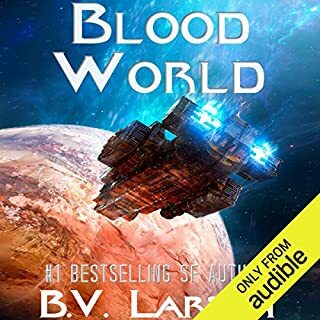 A unique scifi setting. No typical romantic love with a not so expected final outcome. Its just keeps going and going into craziness and I found myself not wanting it to end. The story just kept evolving. So many twists. So many things, I didn't expect. How it just got more insane, more crazy, more on the edge of everything going to crap. Only for McGill to push it even further with is crazy thoughts or just running his mouth. As the listener, I started feeling as if he should stop or just shut up to avoid further madness. Ha. Mark Boyett is pure gold. His narration is always amazing. Voices are well done and near perfect tones that you can feel as hes telling the story. If I see his name on anything, I immediately check it out. As I listened to this epic tale, I found myself having those, "I can't believe he just said that". Even feeling in shock or just paranoid of what might happen next. Many outbursts of laughs due McGills crazy actions. Which happened quite a bit. 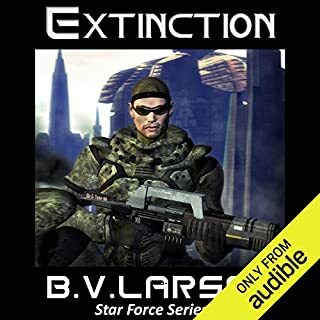 If you like scfi, guns, aliens, a great story, military combat, all with a not typical main character. This story is for you. Run and get it now. Performance. 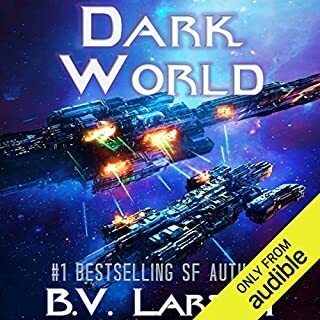 Mark Boyett did a fantastic job and I enjoyed his narration. Story: This is an extension of the series, which I have enjoyed so far. Throughout the series McGill has done some crazy stuff. He is a troublemaker, a virtual slave to his passions, and a generally heart-of-gold type guy. 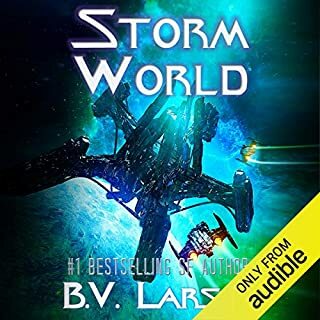 This installment was just as good as the previous two, and the first 2/3 of the book was great. The last 1/3 really illustrates how much a slave to his passions McGill is. He follows his personal code and emotional state without looking back. Without spoilers I'll just say that, in the previous books, he puts his own welfare on the line to help others, and convinces his friends to help when needed. In this installment he begins putting the lives and welfare of others on the line without their consent. It turned me off to his character. I don't know that it's inconsistent with the previous McGill, but I think it's certainly illustrative of a protagonist I'm no longer interested in. I doubt I'll be buying the next installment. What is wrong with me? I love this series! I am a 70 year old with 14 grandchildren and love this series. Maybe it is the fact that I have all these youngsters around that helps me think "why not?" Or, maybe it is just a good story written well. Keeps me listening intently all the way through and cheering for the good guys. I'll finish one, say no more and then turn around and buy more. When will this end? 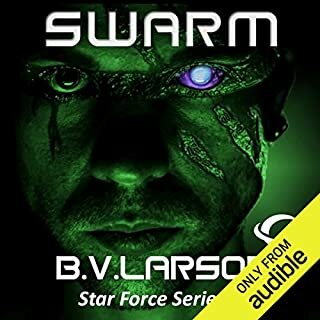 Oh, geez, Larson has lots more for me to listen to...yea! 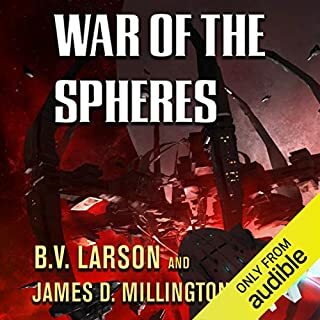 B.V. Larson has certainly kept up the quality in this latest instalment of the Undying Mercenaries. The plot is excellent and the adventure non-stop. The character development of all the major cast continues with them being tested in many ways. The great thing about these books are they are complete books with the story finishing at the end. There are tantalizing bits about what may be happening next but it is none stop. 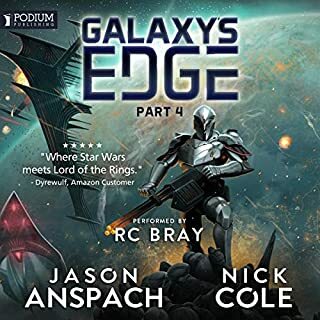 The reading by Mark Boyett is fantastic and the extra dimension he adds to a brilliant story is something to appreciate as you listen to this book. 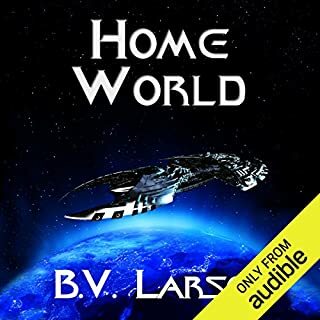 Different setting, B.V Larson never disapoints ! 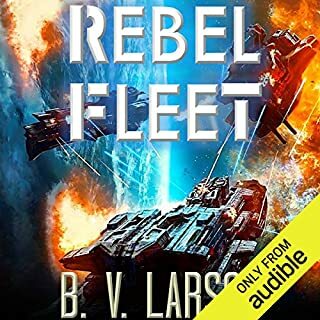 This one is set in a urban combat setting on an alien world.The first hour is a bit slow(still interesting events) but it is worth the wait.The stakes are high;.military illegal dealings by other legions , still one of the most interesting series on audible. 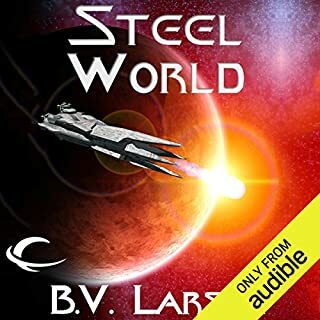 Excellent story and narration. Most notably though, the author has logical fallacies here based on his own world-building. When we first see the shock sticks, the protagonist makes note that they have no readouts on them, just two buttons. Later, he references a power/charge readout. Aside from that we are constantly shown that upon revival there's a little while where your mind is a fog and your body basically doesn't work... And yet, somehow, our superhuman protag is able to defeat two fully capable soldiers in hand to hand combat moments after being revived. and then subsequently convince those two soldiers bent on killing him that they should work together AGAIN, in only about three sentences. I just can't with this book. I'm really starting to dislike the main character, in all the wrong ways. I won't even start on what this writer apparently thinks makes women tick. His female characters are so naive it's painful. 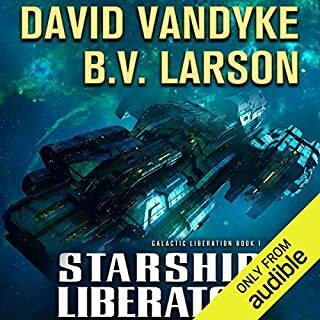 This book did not fail to deliver a worthy follow up to what is a great solid sci-fi book series. What is so great about this series is hard to describe. I guess what I like most is that it does not try to be over the top or groundbreaking. 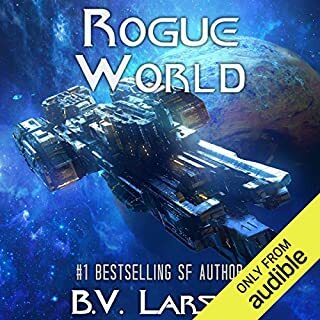 I have nothing against books who try to be these things but often find that it goes at the cost of what is really what I am looking for a solid sci-fi story with enough mystery and twists to keep me entertained. But without an overly convoluted plot that just ends up being distracting.